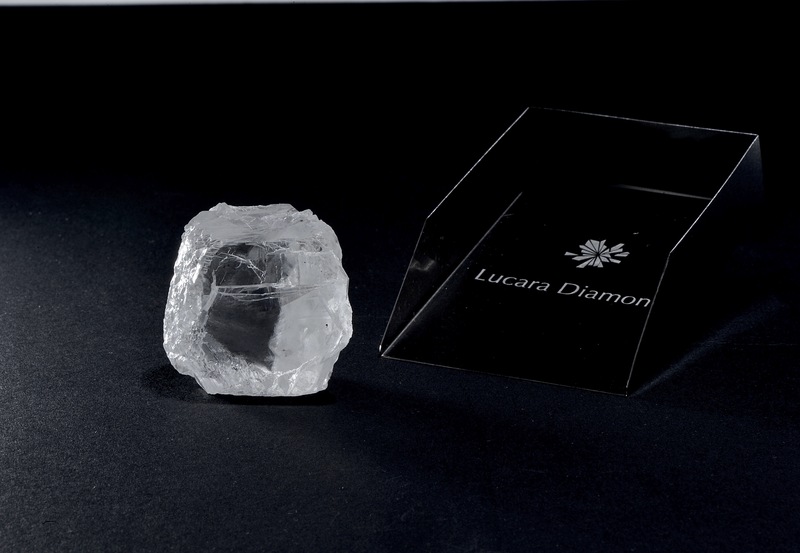 VANCOUVER, Jan. 28, 2019 /CNW/ - (LUC – TSX, LUC – BSE, LUC – Nasdaq Stockholm) Lucara Diamond Corp. ("Lucara" or the "Company") is pleased to announce the recovery of a 240 carat, top white gem diamond (image attached), from its 100% owned Karowe Diamond Mine located in Botswana. This diamond will be shown alongside the 127 carat, top white gem diamond reported earlier this year (News Release) together with other exceptional diamonds recently recovered from Karowe, at Lucara's upcoming diamond tender closing on March 7, 2019. Since mining began at Karowe in July 2012, a total of 54 diamonds in excess of 200 carats have been recovered, including 12 diamonds larger than 300 carats in size. In addition, Lucara has sold 180 diamonds in excess of $1 million each and ten diamonds have sold for in excess of $10 million each. Eira Thomas CEO commented: "This top white 240 carat gem diamond was mined from the M/PK(S) unit within the South Lobe, providing continuing confirmation that large, high quality gem diamonds are recovered throughout the kimberlite, in all lobes and phases on a regular basis. As Karowe enters its 7th full year of production, the regular recovery of Specials (diamonds>10.8 carats) continues unabated and in line with expectations." The information was submitted for publication, through the agency of the contact person set out above, at 4:30am PST on January 28, 2019. Forward-looking statements are based on the opinions and estimates of management as of the date such statements are made, and they are subject to a number of known and unknown risks, uncertainties and other factors which may cause the actual results, performance or achievements of the Company to be materially different from any future results, performance or achievement expressed or implied by such forward-looking statements. The Company believes that expectations reflected in this forward-looking information are reasonable, but no assurance can be given that these expectations will prove to be accurate and such forward-looking information included herein should not be unduly relied upon. In particular, this release contains forward looking information pertaining to the Lucara's intention to complete the sale of the 127 carat and 240 carat diamonds recovered this year in March 2019 as well as Management's expectation about the recovery of Specials. The value of the Company's shares, its financial results and its mining activities are significantly affected by the price and marketability of the diamonds recovered. The sales price of a diamond is determined by its characteristics. While the Karowe Diamond Mine has produced a number of large, high-value diamonds in excess of 100 carats, there is no assurance that the diamonds recovered which are 100 carats or larger will have the characteristics required to achieve a high sales price.